Don’t cry because summer’s over – smile because fall is almost here, and that means it’s time for Sunfest. 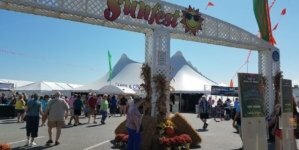 Sunfest is the biggest festival in Ocean City and it’s been the best way to end the summer for more than 40 years with food, music, arts and crafts vendors and games and amusements for the kids. In late September, Ocean City is at its best with mild temperatures, cheap hotels and businesses still open for the season, so you know I’m not lying when I say that it’s honestly the best time to vacation in OC. Here are just 8 of the seemingly unlimited things you can do during Sunfest weekend. For information on hours, parking and transportation, check right here. One of the biggest draws of Sunfest is all the live music during the four-day weekend. 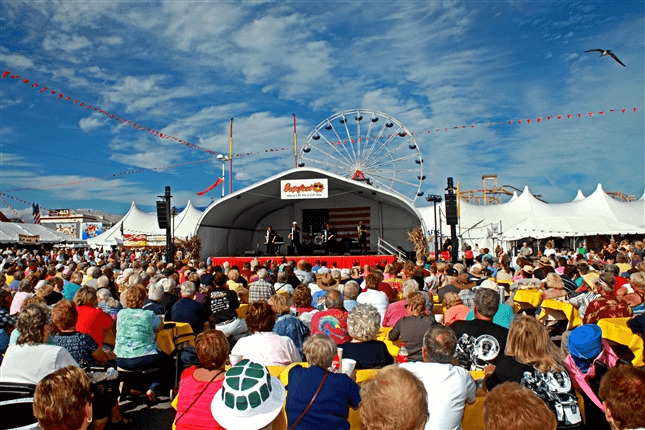 And during the 2017 festival, there will genuinely be something for everyone to enjoy: Catch swing revival group Big Bad Voodoo Daddy on Thursday night, country star Clint Black on Friday and Grammy-winning 80s pop sensation Christopher Cross on Saturday. All three of these acts will be playing at the Inlet Lot at 8 p.m., and tickets to the shows can be bought ahead of time on Ticketmaster. Close out your Sunfest weekend with a free show by Beatlemania Again at 4:30 on Sunday afternoon. There will be food. Lots of food. Over 30 vendors are expected to line the Inlet parking lot with wares ranging from Eastern Shore classics (that’s crabs, clams and everything else under the sea) as well as pit beef, gyros, kabobs, Asian cuisine and everything else you can think of. Most shops on the boardwalk will still be open too, so there’s no need to worry if you end up craving caramel popcorn or funnel cake. Hundreds of artists come from all over the United States to sell their arts and crafts at Sunfest every year. Several years back, the festival was even named #1 of the 100 Best Classic and Contemporary Craft Shows in the U.S. by Sunshine Artist magazine. You can expect demonstrations by vendors, a kids craft venue and the opportunity to take home a souvenir as vendors will have tents set up all four days of the festival weekend. Bring your bathing suit, or better yet, just wear it out. 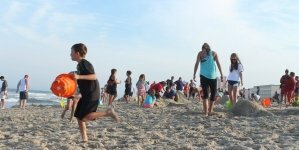 Sunfest is held at the Inlet Lot, so it’s practically right on the beach, and Ocean City can still get pretty hot in September. In fact, you’ll find that the water temperature can be warmer in September than it is in July. By the second week of September, the water temperature peaks in the mid-70s. Once October hits the temperature will fall pretty drastically, so enjoy the warm water while you can and take one last swim of the year. Again, the majority of the boardwalk will still be open for business by the time Sunfest hits. Most restaurants and nightlife hubs will still be open in Ocean City, too. Don’t limit yourself to just the Inlet lot. Take advantage of the Sunfest celebration, of course, but during the four days of the festival, you’ll probably want to explore a little outside of the parking lot. And who says nothing happens in the off season? Besides Sunfest, there are several other events are happening in town that last weekend of September. 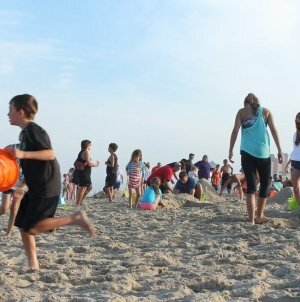 The Art League of Ocean City will host a Sandcastle Home Tour for real estate connoisseurs, a Gem, Mineral and Jewelry Show will take place at the Convention Center, the competitively spirited can participate in a softball game or a treasure hunt on the beach, and there will be an Out of the Darkness Walk benefiting the American Foundation for Suicide Prevention, all between the dates that Sunfest takes place. If the Ocean City beach gets too crowded, visit the ponies on Assateague. Enjoy the fact that while the ocean water is still warm, the sand isn’t scalding hot the way it is in the summer. Trek up to Berlin and check out America’s coolest small town. They’ll be hosting concerts on the lawn, Paint Berlin Plein Air and the annual Fiddlers Convention, all during the same weekend as Sunfest. 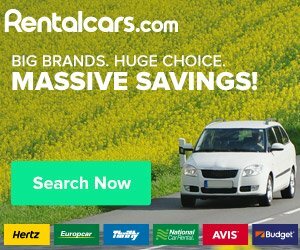 In fact, the Fiddlers Convention is September 22-24, and while it sounds pretty niche, it’s a really unique and entertaining experience that you won’t regret attending. You don’t even have to be a fiddler to have a great time. 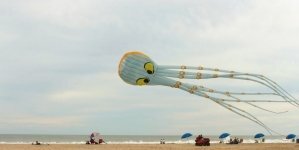 Every year, the Kite Loft gets in on the Sunfest action with a coinciding Sunfest Kite Festival on the beach. 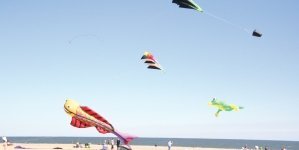 Pro kite flyers fly from all over the world to showcase their kite art and flying techniques, so there’s plenty to see in addition to the kite-making workshops and kite battles that take place. Cross your fingers that there will be a breeze in the air! The outdoor rides tend to be shut down by late September, but Trimper’s indoor rides will still be open to the public. Enjoy one last hurrah on the merry-go-round or bumper cars and cool off from the (hopefully) warm and sunny day. And, obviously, have fun. School and work might be back in full swing after an all-too-short summer, but there’s no better way to celebrate the end of an incredible season than at Sunfest. What Are You Doing Here: Mary O.